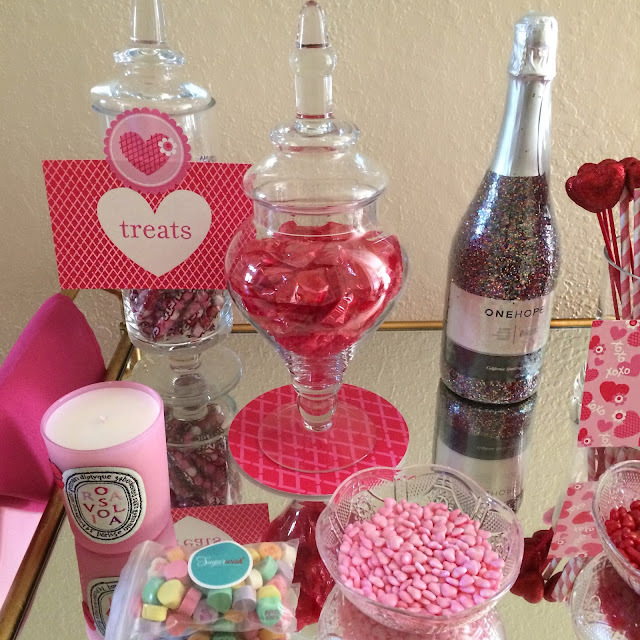 Anytime I can sneak pink in throughout our house, I jump at the chance. 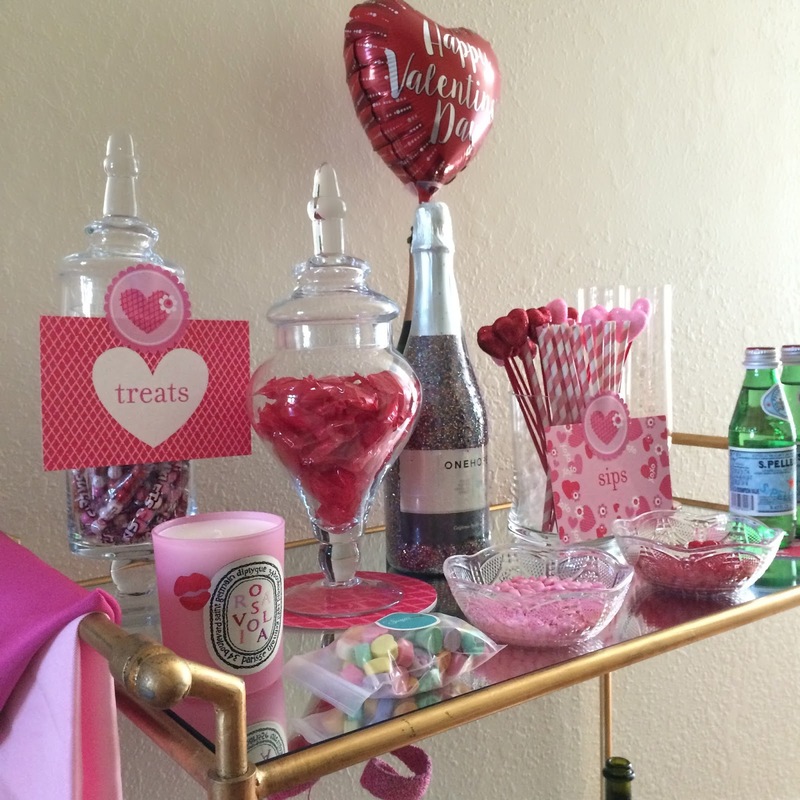 With Valentin'es Day only a few days away, I wanted to spruce up our bar cart and get it ready for the romantic weekend. I recently purchased these apothecary jars from Amazon, which made the perfect candy jars for the Treats section of the bar cart. When not holding candy, I love to use these for bathroom essentials, such as Q-tips, cotton ball, etc. They also are great for holding stemless fake flowers, and fake lemons to spruce up your kitchen or dining room. An empty champagne bottle made the perfect balloon holder. I love any kitschy item I can find for the holidays. Like I've said before, I don't like to spend a lot on holiday flare if I don't have to. 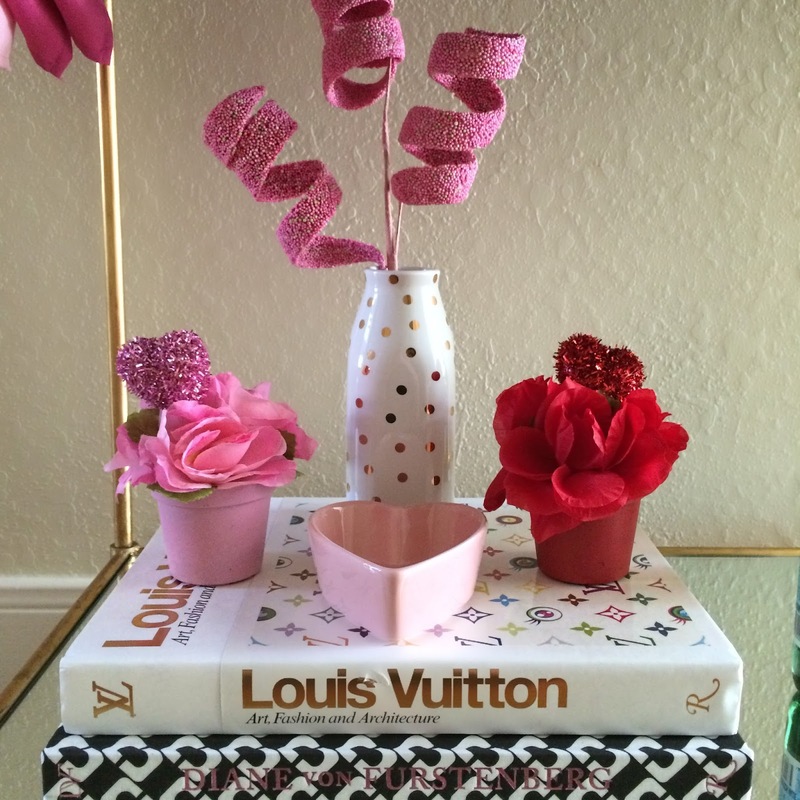 I purchased the balloon (and a few more not pictured), sparkly heart stir sticks, and the heart flower pots all from the Dollar Store last week. 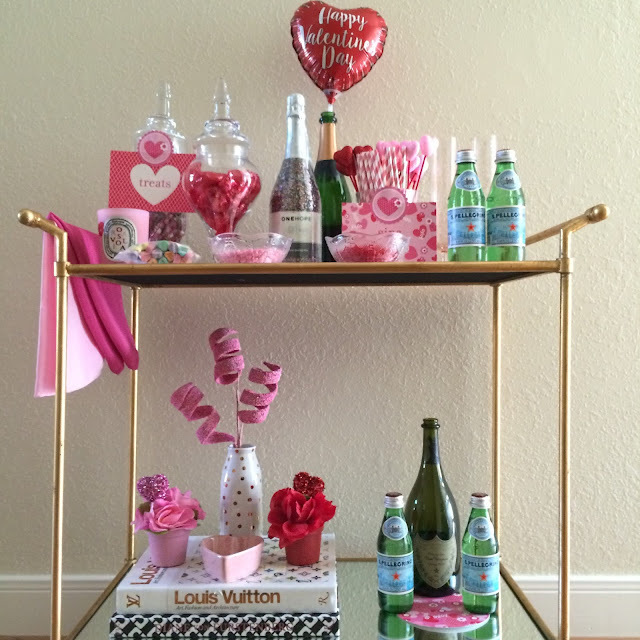 Minted helped me complete my bar cart (and Valentine's tablescape from last week), with their party ready packages. The package included the table confetti, which I used as coasters, as well as the Treats & Sips notecards, heart stickers, and the pink and white striped paper straws. 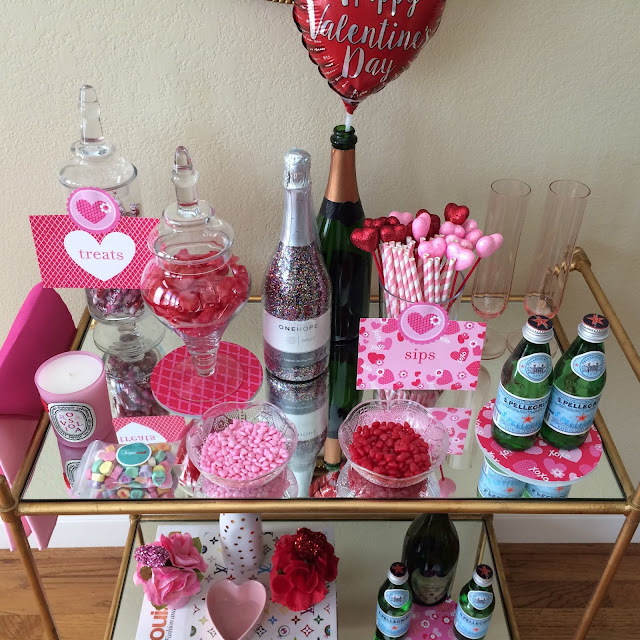 No party is complete without a specialty cocktail! 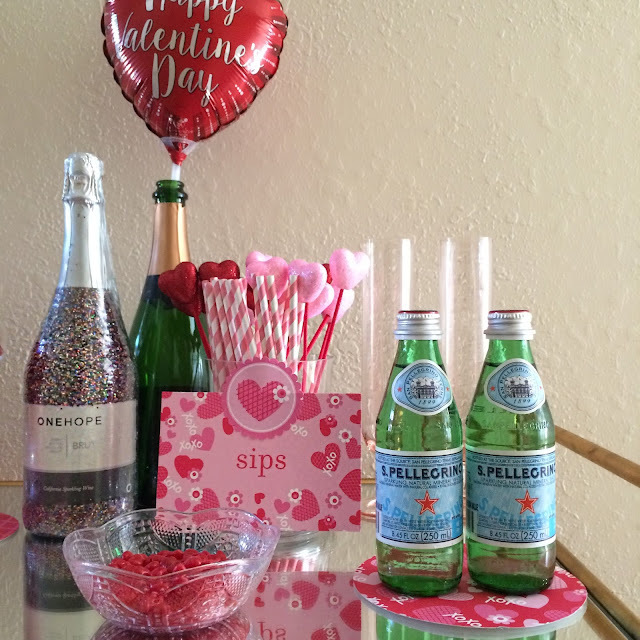 Below are the recipes of two of my favorite festive drinks for Valentine's Day. Wondering what to wear for Valentine's Day? Shop my favorite pieces below!